School has barely gotten underway and suddenly its time to observe September 11th with your students. I just wrote a blog post with suggestions. Immediately after 9-11, I wrote a very simple song to help restore hope in the aftermath. I recorded it onto my fourth CD and have since turned it into a traditional hardback picture book as author and illustrator. My book, with CD insert, is entitled "Red, White and Blue." The book won the 2011 Indy Book of Excellence Award!! Whoohooo! In opening my new TpT store, I have created a zip file with 2 Mp3 versions of the song included -- one that is sung (with my voice as well as children and professional vocalists) and another version that is the instrumental only. The song has been performed around the country. 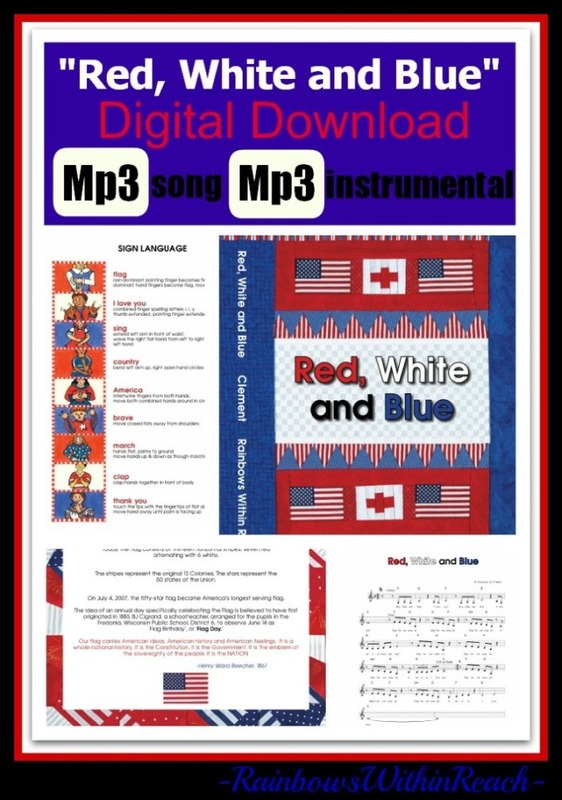 The zip file also includes a sign language chart and music notation with chords to support your use with your class. Here's the link to TpT for the digital download. I have it set for 20% off for the next three days. I know that its sufficiently simple that you still have enough time to teach it this week and perform it next. 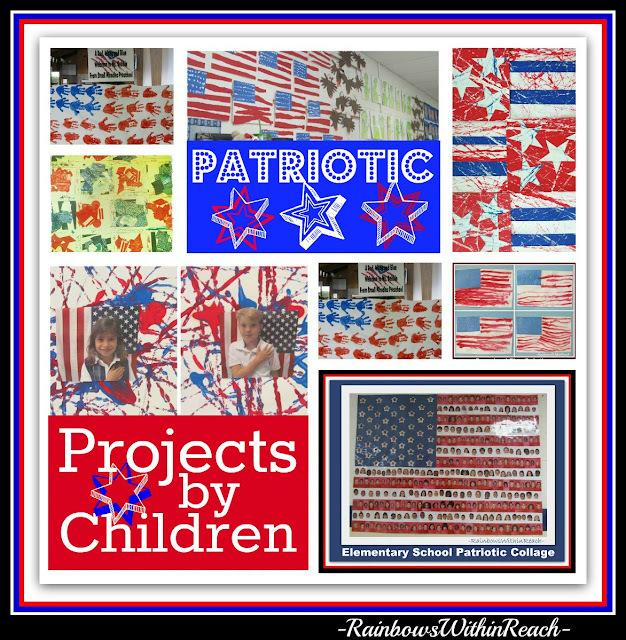 If you're looking for possible patriotic Art projects I have lots of those in this link at my blog.